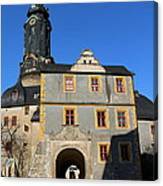 Castle Church Weimar is a photograph by Christiane Schulze Art And Photography which was uploaded on October 7th, 2010. Weimar (German pronunciation: [ˈvaɪmaɐ]) is a city in Germany famous for its cultural heritage. It is located in the federal state of Thuringia (German: Thueringen), north of the Th�ringer Wald, east of Erfurt, and southwest of Halle and Leipzig. Its current population is approximately 65,000. The oldest record of the city dates from the year 899. Weimar was the capital of the Duchy (after 1815 the Grand Duchy) of Saxe-Weimar (German Sachsen-Weimar). 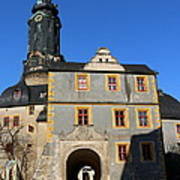 Weimar's cultural heritage is vast. It is most often recognised as the place where Germany's first democratic constitution was signed after the First World War, giving its name to the Weimar Republic period in German politics, of 1918�1933. 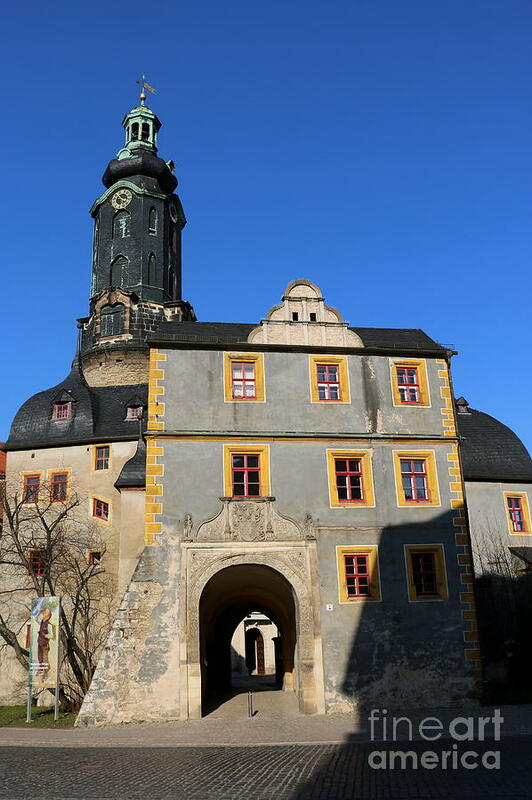 However, the city was also the focal point of the German Enlightenment and home of the leading characters of the literary genre of Weimar Classicism, the writers Goethe and Schiller. The musician Carl Philipp Emanuel Bach was born here. The city was also the birthplace of the Bauhaus movement, founded in 1919 by Walter Gropius, with artists Wassily Kandinsky, Paul Klee, Oskar Schlemmer, and Lyonel Feininger teaching in Weimar's Bauhaus School. Many places in the city centre have been designated as UNESCO World Heritage sites. Absolutely beautiful stunning light, great Image,Christiane!